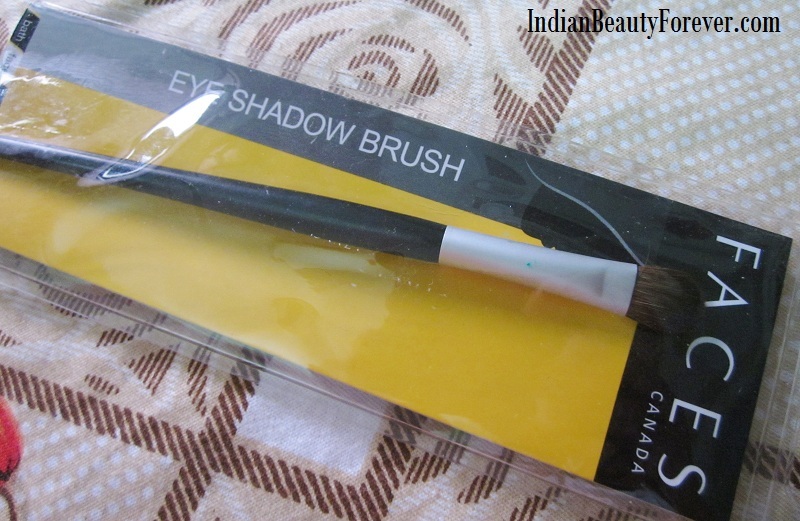 I will review this Faces Canada eye shadow brush that I have been using for almost all my eye makeup looks and it has become an absolute favorite of mine ever since I have got it! It comes nicely packed in a plastic pack and the brush handle is a matte black color with the bristles made up of nylon. Now, as the bristles are synthetic, it picks up the product well and is very soft not at all harsh on the delicate eye area. It says that you can use this for blending, contouring and shaping which is correct. As I have used this to pack the color on the lids, then to softly blend the colors and also to define the crease. It is a flat shader brush but as the bristles are not way too packed as in they are a little fluffy from the top which makes it great brush for blending. In fact I use it more for defining and blending rather than to apply the shadow on the eyelids. I think it’s been 4-5 months since I have it and every time I will do a look, I cannot resist using this. It is really a great value for money brush. I don’t know how many times it had been washed but one thing is for sure that not even a single strand came out or shed! Isn’t that great? It’s light weight and the handle isn’t too long as when you use brushes with longer handles you cannot go near the mirror to have a close look while you do your eye makeup, which is again a very good thing about this brush. Honestly, It is one of those cheap and affordable eye shadow brushes that are available in India with good quality of Course! For me it’s a full on product and an investment at such a low price. i have two of these and i love them. affordable and nice! Absolutely dear! They are very good! i have to get one of this.nice review Niesha. Thnaks dear! It's very good! I have it and may be this was my first makeup brush .. It has almsot been an year and itis till in pretty good shape!! 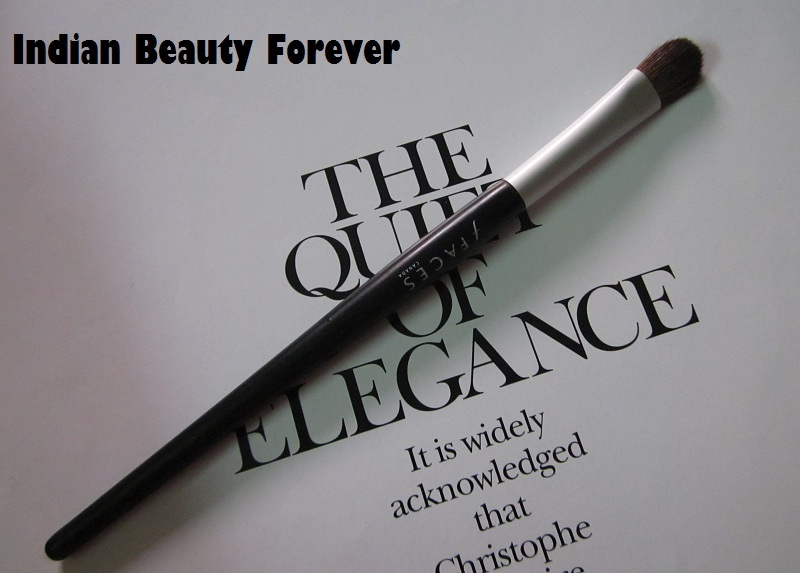 It is a great blending brush and also pat on the colors beautifully!! i want this , hi niesha how r you !!!!!!! Have been seeing so many reviews of Faces Canada off late! Great price and looks like an amzing product! Will definately try this! You will love it Aditi!! It's a gem sold at such cheap price. an amazing quality for the price! I have this one for the last two years and I still reach for it everytime I do my eye makeup. It lets me do the lids, the crease and even blending out. I just can't live without it! Same here Nivi! It's been a couple of months since I got it and now, cant even think of using any other but this! Most of the times I have done eye looks with using only this. Nice review, will try it soon. Thank you!! U will like it! 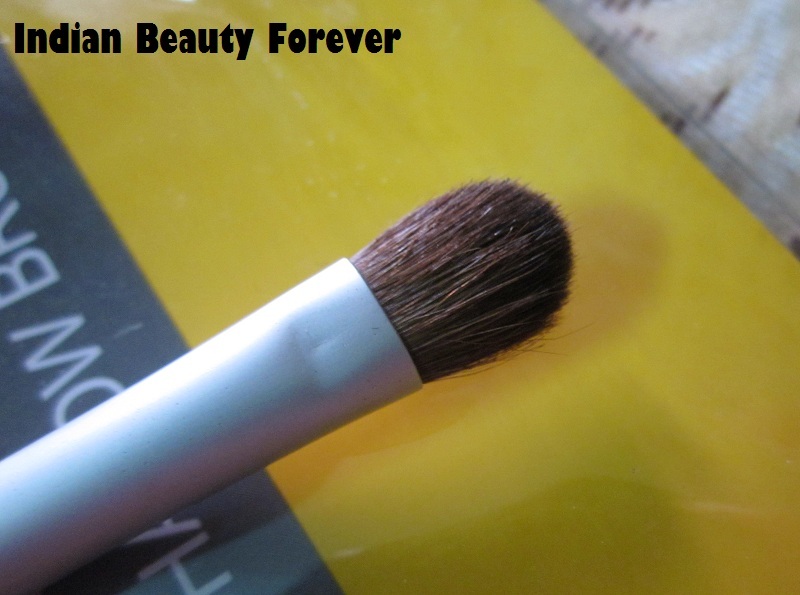 Thanks for sharing the review on this product Neisha, I was looking for an eye shadow brush.. I am gonna get my hands on this one Niesha! Just 95 bucks & such a great job it seems to be doing... :) Lovely review! this was my first eye make-up brush & I still use it a lot! :D Is it? Its really good at the price na! I prefer synthetic bristles and these are decently priced too. I badly need this one..
:/ That is so bad . :( Even I want one more of this.